While To Do lists can be a useful productivity tool and help you focus in on and accomplish all the many activities that go along with a writing career, they can also--far too easily--become a source of stress and self-condemnation that dampens your creativity and sabotages your productivity. When you feel that you "have to" do something, even if you know it's important for your writing or even essential for promoting your book, it can bring up a feeling of resistance, which makes accomplishing what you want to do even harder. Just putting something on your To Do list can make it a "have to" in your mind. Because your To Do list is filled with things you truly need to do, you can feel a sense of pressure (or the potential for negative consequences) whenever you think of your list. You may worry that if you don't complete what's on your list, it will cause you problems. If your day is "getting away from you," and you haven't gotten to your list, yet, you can feel the pressure of it, or judge yourself because of it. When you get to the end of your day and haven't done, or completed, something or everything on your list, you can feel like you failed. You set a goal for yourself, and didn't achieve it. Your relationship with your To Do list is everything. If you see it, primarily, as an organizational tool that can help you be more focused and productive, moving your writing and promotional activities forward, you'll probably be alright. But if you see it as a taskmaster, as a list of things you "have to" do or "should" do, you're more likely to run into the above thoughts and feelings. If you've turned your To Do list into a taskmaster, the quickest and easiest way to turn it back into a fun and useful productivity tool is to reframe it and rename it. Your To Do list is now your Treasure Map! The best part is that it's absolutely true. Your To Do list IS a treasure map, which, when followed, will take you to the writing success that you long for. Do you want to write a book? Create a Treasure Map to put that book in your hands. Do you want to build your author's platform or promote your book? Create a Treasure Map, and follow it to establish a large and loyal following. It changes your focus from what you "have to" do, to what you "want to" do, which changes your energy and makes doing the work much easier. It keeps your focus on the Treasure! By keeping your goal in front of you at all times, you're constantly reminded WHY you're on this journey, and that keeps you motivated. Your constant focus on the Treasure, on the outcome, puts the Law of Attraction into action in a positive and powerful way for you. Because you're focused on the outcome that you want, it makes you more open, eager, and willing to do all that is needed to achieve your dream. And best of all, it turns the journey into a grand adventure. If you're having trouble getting to, or completing, the items on your To Do list, throw your list away! Create a Treasure Map, instead, and name the treasure you desire. 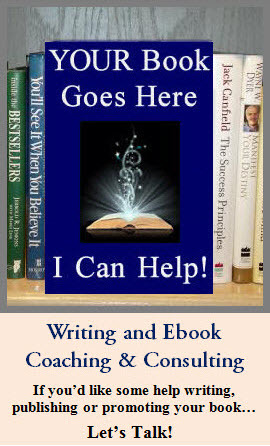 You can name it the title of your book: My "Unleash Your Writing Genius!" Treasure Map. You can name it what you're trying to achieve: My Full-Time Book Author Treasure Map. You can name it how much money you want to make: My $10,000 per month Treasure Map. Whatever your goal is, name it and place it on your treasure map. As you keep your goal in front of you, surrounded by fun and forward moving energy, you'll get more done more easily than you ever thought possible. Productivity isn't the only aspect of your writing career that can be perceived and experienced in a new more joyful, open and creative way. You can transform your relationship with promotion, too. Read my post on Writing Success Secret #1: Book Promotion Can Be FUN! What do you do to find the fun in, or make peace with, the aspects of your writing career that support your ultimate goals and are essential to your success, but may not be your favorite parts of the process? At the beginning of a book, or other long writing project, it's helpful to create a vision board or some other visual "touchstone" to keep you inspired, focused, and moving forward on your writing journey. A vision board of your book to put on your wall, or on your computer as a desktop background or screen saver. It can include your book cover,"NY Times bestseller," or any other words or images that excite you about your book. A mind movie: A vision board turned into a video, inspiring thoughts and images moving to the beat of an uplifting song. You could even record a voice-over talking about how you'll feel when the book is completed, and how it's going to affect the people who read it. Your book cover: If you don't have your book's official cover, you can create a rough draft (it doesn't have to be perfect) that has meaning for you. Besides using the book cover on your computer as your desktop image or screen saver, you can print out the cover and put it on your refrigerator or near your computer. You can also put your book cover on a 3-ring binder, paste it on a book-sized diary, or create a physical mock-up of your book in some other way. Your book's back cover: Put this where you can see it, or combine it with the book cover described above to create your "book." Be sure to add a couple of testimonial "blurbs" to the back cover copy saying how wonderful your book is. Your book's table of contents: Print your TOC in a nice sized font, so you can easily read the chapter headings. Put it where you'll see it often. A picture of the ideal reader you want to educate, inspire, or entertain through your writing. It can be someone you know, or a clear representation of your ideal reader (age, gender, etc.). A picture of something you've promised to buy yourself when you finish writing your book. There's nothing wrong with a little incentive. Writing a book is a big commitment, and completing it is a HUGE accomplishment. Celebrate the many little wins along the way, and when you've finished the book, do something big and wonderful for yourself. Or some other image that has meaning for you. It could be an author you admire and want to emulate, or someone (or something) that inspires you to do your best. I've made a mock-up of the book, "Brainstorming Your Blog," as an example, I've not only created a book cover, I've put it on the front of a 3-ring binder, created chapter dividers, and suggest printing out the book's pages as you complete them. To encourage you to finish each of the individual chapters or sections that you've outlined. To help you feel more connected to the book, and, therefore, more committed to going all the way to a completed manuscript. To get a visual and tactile sense of accomplishment as the completed pages of the book grow. To help with the editing, as there is something about having a piece of paper to edit that helps you see things you might not catch online (I don't know why this is true, but it is). Do you use any kind of visual touchstone? How has it worked for you? It struck me as I was seeing where everyone is today with their NaNo novels, that NaNoWriMo is actually four goals in one. Goal #1 Write the first draft of a complete 50,000 word novel in 30 days. Goal #2 Write 50,000 words, no matter how long it takes. Goal #3 Complete the first draft of your novel, no matter how many words it is. Goal #4 Take your completed first draft, polish it until it shines, and decide how you want to move forward with it. When you have a specific goal and deadline that you’re committed to it keeps you focused and moving forward at a steady pace. Yet, if you start to fall behind, and see the possibility of actually meeting your deadline date dissolving in your mind’s eye, you start to lose energy. Why work so hard when you’re not going to meet your deadline, anyway. Even if you write full-steam ahead to the deadline date, once you’ve passed it--whether you met your goal or not--your energy and focus tends to deflate. That’s why recognizing that NaNoWriMo is not one, but many goals is so important. If you feel you’re not going to meet the first goal of completing your novel by November 30th, then commit to the second goal of writing 50,000 words no matter how long it takes. If you do complete 50,000 words by November 30, but your novel isn’t finished yet, then commit to the third goal of completing the first draft of your novel no matter how long it is. And if you’ve finished your novel, no matter how long it is or how long it took you to write, commit to the fourth goal of polishing it and continuing to move forward. This may seem obvious, but I’m bringing it up for a particular reason. Because of NaNoWriMo’s bold goals, communal support and firm deadline, it inspires you to give your best. It pumps up the volume on your commitment. It shows you what you’re capable of when you become laser-focused on a goal, and really go for it. So when your focus begins to fade, whether it’s because you fell behind on your word count or because November 30th has come and gone, remember what it’s like to feel this focused, this committed, this productive. Take the time, right now, while you’re still moving full-speed ahead towards your goal, to notice what thoughts, feelings, and actions support you in your commitment, as well as those that get in your way. Write them down, because no matter how obvious they seem in this moment, you probably won’t remember them when you’re having a bad day, or trying to figure out what to do next. Use this list to energize you when you move to your next commitment. 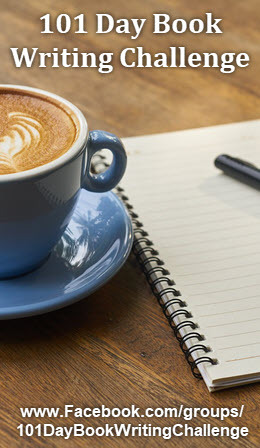 Use this list to keep the spirit of NaNoWriMo alive all year long. Not every month can be a “put your life on hold to write” month, but every time you write, you can write with a "full-speed ahead" sense of passion and commitment.